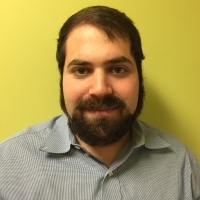 Jacob Cohn is a graduate student at the Fletcher School of Law and Diplomacy at Tufts University, where he is studying for a master’s degree in human security and conflict resolution, with a particular focus on migration and human rights protection. Before coming to Fletcher, Jacob served as an AmeriCorps VISTA member at the International Institute of Minnesota, a refugee resettlement agency in St. Paul, Minnesota, where he managed an adult education program for refugees and recent immigrants and tutored refugee students in writing. Jacob previously worked as an intern for the US Department of State, the office of US Representative Eliot Engel, and the National Security Network, and his writing has been published in local and regional news outlets. Jacob grew up in New York and California and received his B.A. in international relations from Carleton College in 2013. Jacob spent his 10-week Peace Fellowship in partnership with families impacted by Agent Orange. Upon returning, Jacob reflected, "I came into this fellowship knowing almost nothing about Vietnam or Agent Orange, and getting to learn about both firsthand, and to hear firsthand the stories of those most affected, was a deeply moving experience. I know I'll carry the lessons I learned as an AP fellow throughout my professional and personal life, and I'm incredibly grateful to Iain and everyone at AP for giving me this opportunity". Today I am halfway (whoooooooah) through my fellowship here at AEPD in Dong Hoi, Vietnam.